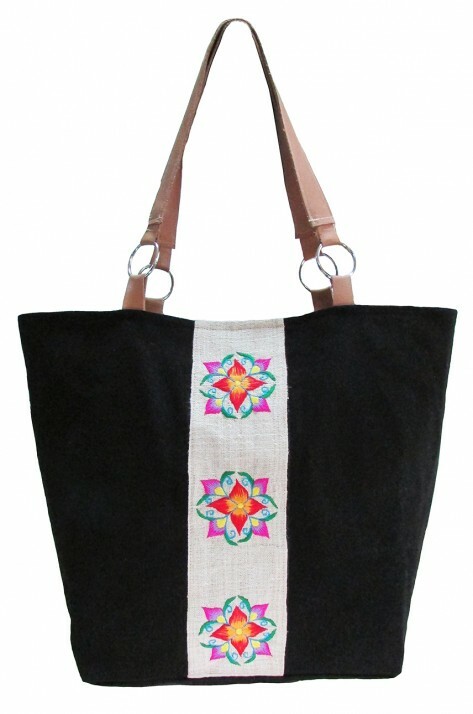 Danyun Collection colour life series Yunnan flower leather bag black. 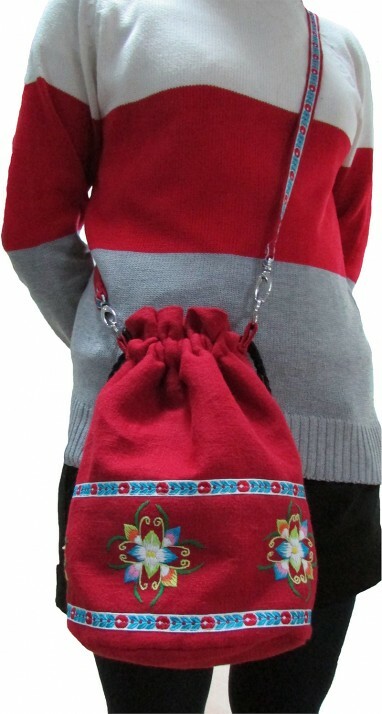 Description: Danyun Collection colour life series Yunnan flower leather bag black. 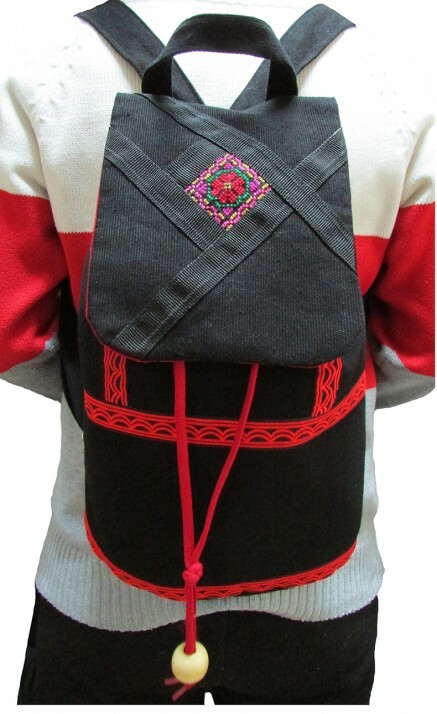 Black hemp bag decorated with a Yunnan flower. This embroidery is Danyun’s unique design. The grainy black leather strap is gathered on the top with a matching coloured Miao embroidery piece. Magnetic snap closure. 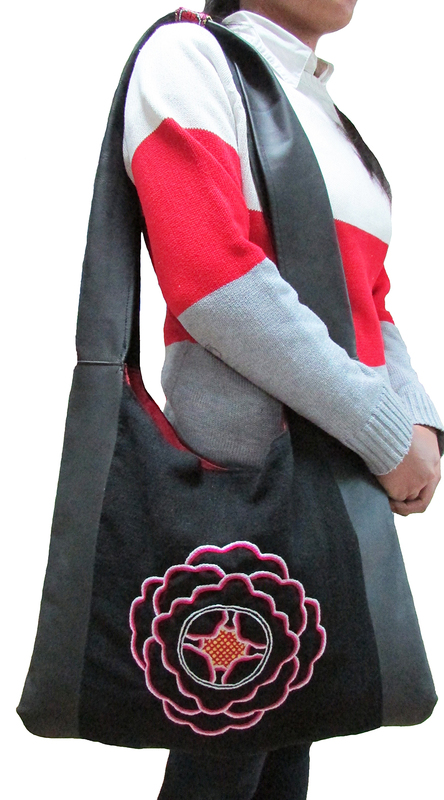 Lined with red hemp and an interior zip pocket. 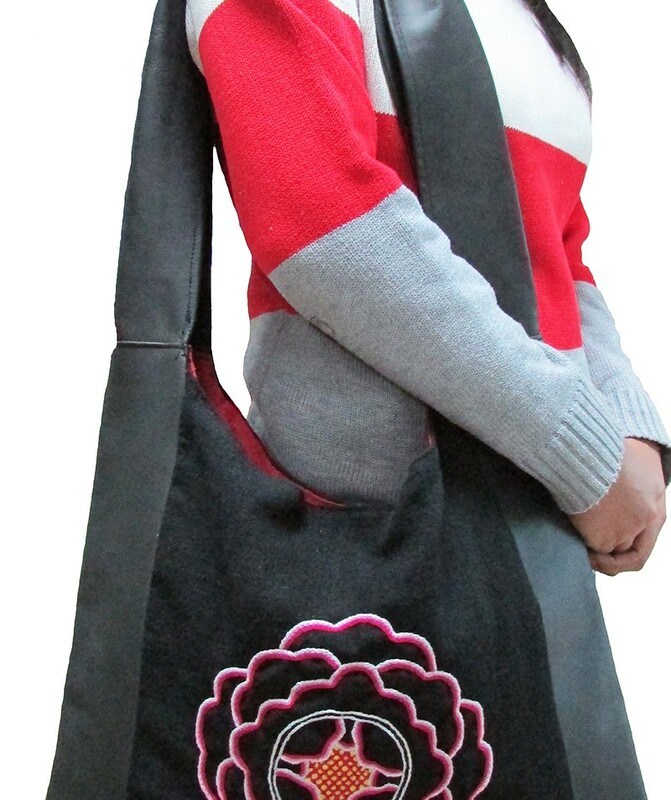 Danyun Collection colour life series chunky tote bag black. Danyun Collection colour life series bucket bag red. Danyun Collection colour life series bucket backpack black.